I can’t believe I still have more travel posts to write about France but I do. I hope you don’t mind but I am having a lovely time going through the photos and reminiscing. Throughout our travels there were few times when we actually sat down and had a lunch. We would often grab a pastry and a coffee, a quick quiche or baguette sandwich, salad and sometimes nothing at all. You just don’t seem to feel the hunger when there is so much beauty around you. We had one day where we collected food as we went in various shops, then had a picnic in the park and also a couple of ‘forgettable’ experiences. Our time in Caen was very short and our purpose was very clear. To see our oldest son, a year 12 student at Juno Beach Academy, graduate on Juno Beach. We worked very hard all year volunteering for the Calgary Flames doing concession at Stampeder Football games, Calgary Hitmen games and Flames games once the season got underway. We raised enough money to send him with his class to Europe on a tour of major battlefields, museums and cemeteries of WWI and WWII throughout France and Belgium. It was a somber trip but I think they still managed to have some fun. The day we met them at the Juno Beach Centre at Courseulles sur Mer was really cold with blowing winds and rain. It wasn’t pleasant but it was historically accurate. On June 6, 1944 the Allied landings faced similar conditions at extreme low tide with large waves crashing about. Those young men jumped into the water, with all their gear and ran for their lives on an open battlefield. They gave their all and in many cases their lives. My grandfather was there as part of the third wave with the Regina Rifles. It was very emotional to stand there and look out on the waves and imagine what he had to go through. It was something he never talked about and I am eternally grateful that we’ve had the chance to learn more about D-day as it is extremely well documented. After a tour of the beach area and museum, the kids had their ceremony and we all promised to meet up for lunch. I don’t know how we did it but we lost sight of a giant tour bus and that was the last we saw of our son until we got back to Canada a week later. We eventually stopped looking for them and decided to pop into a restaurant for lunch. We had a lot of driving to do because we were supposed to make it to Blois (Loire Valley) before nightfall. As mentioned previously, it was a pretty blustery day. We needed to get in somewhere warm and have some food to keep us going. We stopped at the first place we saw, the Hôtel de Paris. It seemed quite extravagant for lunch as it had white linen tablecloths and the lot. However, disheveled as we were, they didn’t bat an eye at our arrival but seated us within the dining room. There were only a few other tables occupied, with senior ladies and gentlemen so I wasn’t so sure what to think of the place. Luckily we had one extraordinary lunch here…of course it turned out to be one of our favourite lunches. After all the carbohydrates we’d been eating, I think we all felt the need for some roughage. 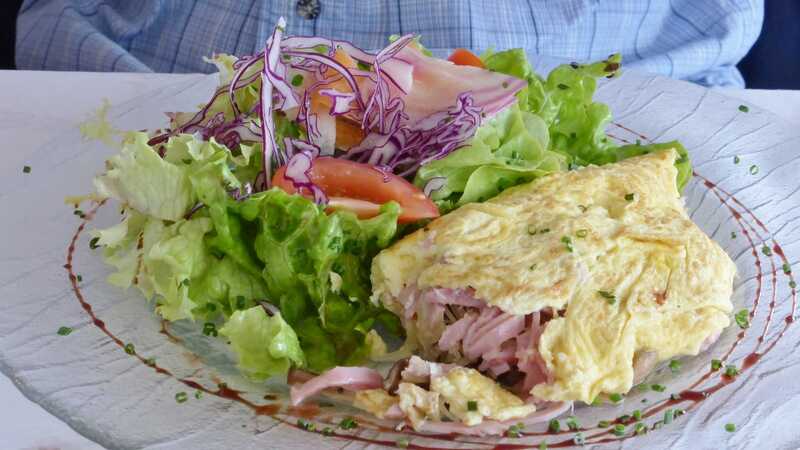 Hubby ordered a french omelette with ham and cheese. He was quite pleased with it. We all had the lovely butter lettuce and shaved vegetable salads accompanying our dishes. This was one of the better dijon vinaigrettes we had in France. Both kid number one and I opted for the warm goat cheese salad with potatoes and lardons (bacon!). Oh. Wow. I had this ‘salad’ several times for dinner (minus the goat cheese) while we were away but this one stole the show. The melted goat cheese rounds were so moreish. Yum. 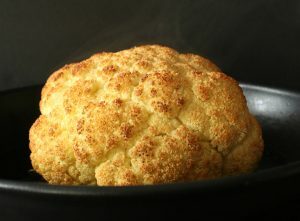 I’m salivating just now thinking about them. 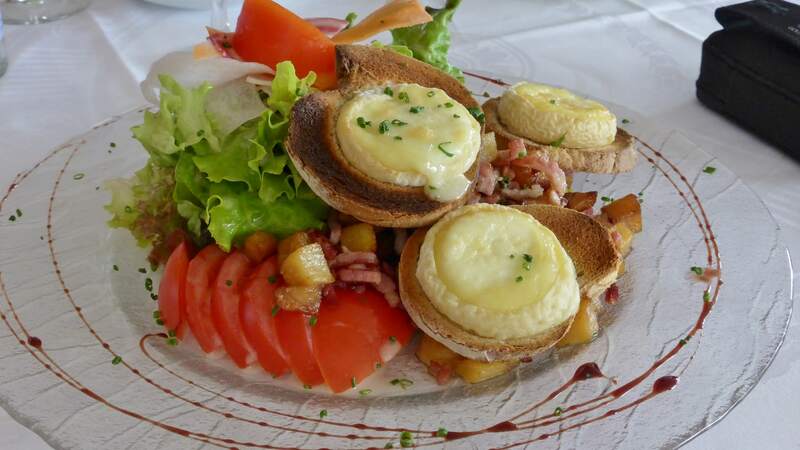 I did mention to hubby that I thought it was awesome that the French can put bacon and potatoes in a dish and still get away with calling it a salad. It definitely made me feel healthier! Kid number two surprised us all by ordering a seafood salad. I guess we weren’t totally shocked because we had a previous discussion about how great it is to be so close to the ocean and how fresh the fish would be. She was treated to a stunner dish. She could barely finish it. I think the chef really likes to ‘fancy up’ his plates with balsamic glaze. How about you? After all that healthy, delicious and light food I had to be a bit naughty. 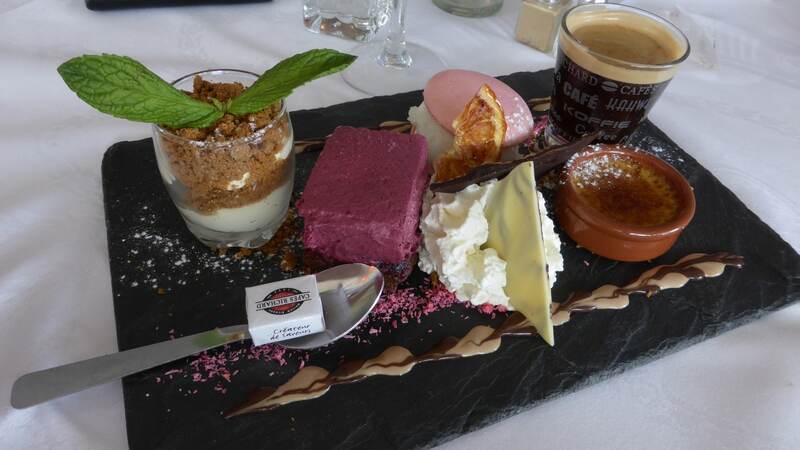 During my research I had heard of a tasting plate of desserts called a Café Gourmand. Hôtel de Paris was the first restaurant where I actually saw one on the menu and I couldn’t pass up the chance to order it. On the plate were tiny portions of desserts on the regular menu; a petit Crème Brulée, berry mousse, rose macaron, and some kind of apple/cream crumble. It came with a shot of espresso which was very appreciated. The only thing I didn’t like about the Café Gourmand was that I had to share it. I love your blog!! Thanks so much for sharing. Awww Lenny thank you so much! It has become a part of me that’s for sure. I’m still having so much fun…in fact right this very moment I am working on a new blog, because one isn’t enough! My grandfather was with the Regina Rifles too! I haven’t been able to track where he was yet but it’s a small world, eh? Are you joking me? What a coincidence!! Do you know when he enlisted, etc.? I did a lot of research before we went on our trip and it is amazing how much info is out there. To stand on that beach and look out into the waves was beyond words. He NEVER talked about anything that happened with me and I only learned bits and pieces here and there. They were just enough for me to find out more on my own. 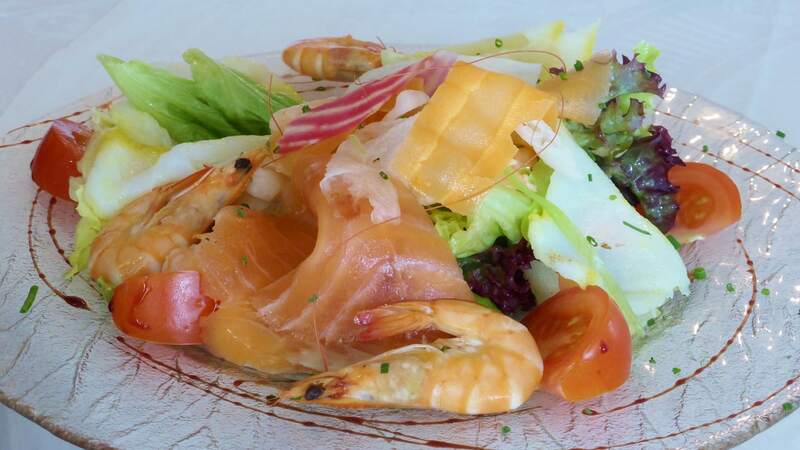 The seafood salad looks amazing!